A good quality, hot water system installation is essential in any Brisbane home. It’s probably the most expensive appliance in your home. It’s also the most neglected appliance even to the most diligent homeowners. But let us be honest, it’s extremely difficult to do without a water heater. For instance, you need a hot water supply for washing dishes, shower and laundering amongst other things. Without hot water, such household chores would be difficult to execute. It is therefore important to make sure that your hot water system is running efficiently. Can you imagine how disgusting it can be waking up to a cold shower? But like any appliance, the hot water system is prone to faults and breakdown. But these problems can be avoided by a little maintenance like draining the boiler and venting the radiator. Don’t wait until when you can’t get hot water into your house. At that point, it might too late to salvage your appliance. There are numerous reasons why your hot water unit checked regularly. First, it helps in rectifying the problem before it causes a lot of damages. For instance, if you identify a small leak, have it repaired before it’s out of control. Second, you can identify the build-up of sediment before it causes damage to the unit. But how do you ensure thorough hot water system maintenance? We are providing you with basic and simple tips on how to achieve this. 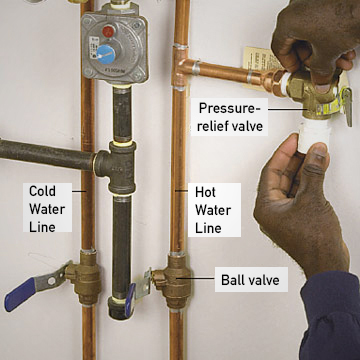 Temperature and pressure relief valve is a crucial component of hot water system. Also referred to as the TPR valves or T&P valves, they are fitted to the tank as a secondary safety measure. That’s why it’s important to have them maintained for a proper functioning. TPR valves vents hot water automatically when the pressure or temperature of the water gets too high. Note that when the temperature is too high, there is a possibility of the tank exploding or splitting. It’s easy to test for a faulty TPR. Flushing and testing is a straightforward method that you can do yourself. Just raise and lower the valve and check if hot water will rush out of the drainpipe. If it doesn’t, have the valve replaced. Call a professional plumber if you don’t have the skills. If the valve is leaking through the outlet pipe, have it replaced immediately. One of the main causes of water heat failure is the sediment build-up. The most dangerous thing about sediment is its slow accumulation, and before you know it, the system is almost breaking down. They affect the heating element, particularly with the electrically powered water heater by forming a layer of scales around it. This makes it very difficult to heat the water and will cost you a lot in your energy bills. If you hear some banging sounds coming from the tank, or the water is taking long to heat, check for the sediment. Flushing out sediment may require a professional plumber if you don’t have the skills and tools to do it. It is advisable to have sediment flushed out thrice or twice a year to improve the efficiency of the unit. The temperature levels of the water should be maintained. Too much hot water is a safety hazard to your appliances and family members. As mentioned earlier, when the temperature is too high, the tank might explode or split. Too hot water in the house can destroy some of the appliances, and it’s not good for your skin health- too hot water coming from the shower is hazardous to your family. 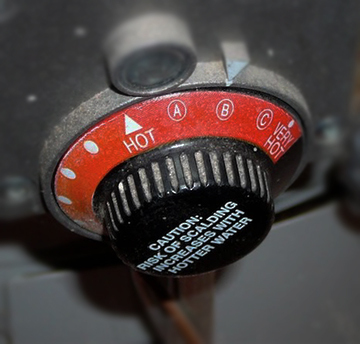 You should regularly check the temperature setting of your water heater. Set it anywhere between 55 degree Celsius and 60 degrees Celsius. Anything above this temperature is a waste of energy. If the water temperatures are not stable, then you need to have the thermostat checked. If that’s the problem, then replace if you have the tools and skills. If the task is too much for you, hire a professional plumber to do the job. In case thermostat is not the problem, check if enough power has been supplied to the unit- low power supply can result in low water temperatures. 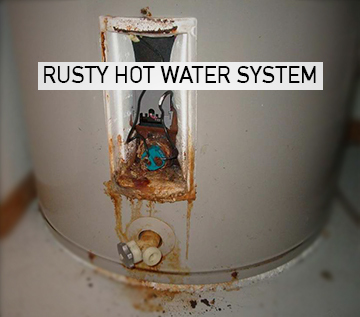 Leaks are the main causes of water heater failure. They are likely to cause costly water damage if not properly controlled. You are also likely to incur higher utility bills for the water lost through leaks. Make sure that your unit has been checked for the leaks regularly. This is something that you can yourself. If you see any form of moisture in the tank, it will be necessary to have a professional determine if it’s a leak or not. It’s important to note that leaking tank can cause permanent damage to the unit and the only solution is a replacement. All hot water systems have a lifespan that must be observed. A majority of the units have a useful life of 8 to 10 years. If your unit is already approaching this time, it will be necessary to have it checked regularly for maintenance. You can use the manual to determine the age. If you can’t get the actual age of the unit, call professionals to do it for you. Note that as the water heating unit ages, it becomes less efficient. Its regular maintenance will help to improve its efficiency and lifespan. Anode rod is a very important component when it comes to extending the useful life of your hot water system. Also referred to as the sacrificial anode, it reduces the effects of corrosion in the tank. These rods are made from magnesium or aluminium material and work by undergoing galvanic corrosion to extend units lifespan. The rod attracts minerals and impurities in the water that could have otherwise reacted with the inside of the tank. Thus, instead of the metallic part of the tank corroding, it’s the anode rod that corrodes. It’s important to note that the rod does not stop corrosion in the tank but it slows the rate at which it happens. Also, anode rod has a lifespan, and thus it should be replaced when its useful life comes to an end. It should be replaced after every five or 3 to 4 years after installation if you are using hard water.